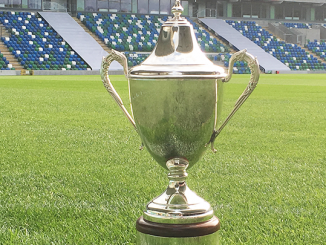 The NI Football League in partnership with the NI Football Writer’s Assoication have announced the nominees for Women’s Football Personality of the Year as part of the NI Football Awards. The players up for the Women’s Football Personality of the Year will find out who has been crowned at the NI Football Awards ceremony at the Crowne Plaza Hotel on Monday evening. 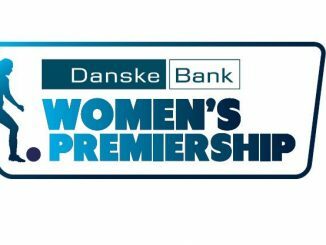 Meanwhile, Linfield were also very much to the fore in the Danske Bank Women’s Premiership on Wednesday, making it three straight wins with an 11-0 thrashing of hosts Portadown. They were 3-0 up in only 8 minutes, with awards nominee Kirsty McGuinness getting the first of her four-goal haul, Rebecca McKenna scoring twice. Jennifer McDade, Megan Bell, Alison Smyth, Abbie Magee and Louise McDaniel all later added a goal each. Second-placed Crusaders Strikers won 2-1 at Cliftonville in the North Belfast derby. The hosts scored first through Marissa Callaghan but Celine Curtis equalised against her former club and went on to net the winner 5 minutes from time. Glentoran gained a second point in a 2-2 draw with Sion Swifts, scoring in the last minute. They did go in front through Ali McMaster but Aimee Mackin levelled from the spot and put Swifts ahead on half-time. However, Aoife Lennon eventually bundled the ball over the line in the 90th minute.